"Flexible layouts for every device"
Here in the Mount Washington Valley, our economy depends heavily on tourism. We think it’s safe to say that a large percentage of visitors to the area will be searching for lodging, dining and entertainment on their mobile phones or tablets. You should be sure that your website works as well on a smartphone as it does on a traditional desktop, tablet or laptop. WebMaintain has designed over 30 responsive websites and can transform a traditional website into a version that will look and function beautifully on any desktop, smartphone or tablet. Responsive design is a technique that allows the same website’s design and layout to adapt to the size of the screen used to view it. The goal is to provide an optimal viewing experience (no zooming, panning, or scrolling) for a desktop, mobile phone and tablets. Why do I need my website to be responsive? Mobile usage is exploding. You don’t want visitors to your site to navigate away because of unreadable content. Blogging and social activities bring mobile visitors. Google prefers responsive web design. Shopping on mobile devices is steadily growing. 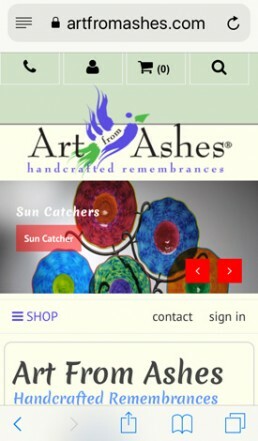 Will I need a seperate website for the responsive or mobile version? In most cases no. We use WordPress almost exclusively for website frameworks. This allows the mobile phone or tablet version to be updated when the desktop version is changed.